A lot has happened since our last post so we wanted to briefly summarize what has been going on. The first one to make a Let’s Play of our nifty little game is german YouTuber Daraton who made a first impressions video on v0.3 beta. We liked the video a lot and in case you haven’t seen it (and are able to understand German), we’ve embedded it below for you enjoyment. We’re greenlit! Thanks everyone who voted for our project. There is still a lot of development (and paperwork) to do until you will be able to get the game on steam, but one thing is now (fairly) certain, that day will come! We received quite some feedback on v0.3 beta which we tried to address in full. The result is v0.4 beta. The new version includes some visual improvements such as the powerup display in the lower right corner and a new look for the walls which now corrupts as well, among other things. 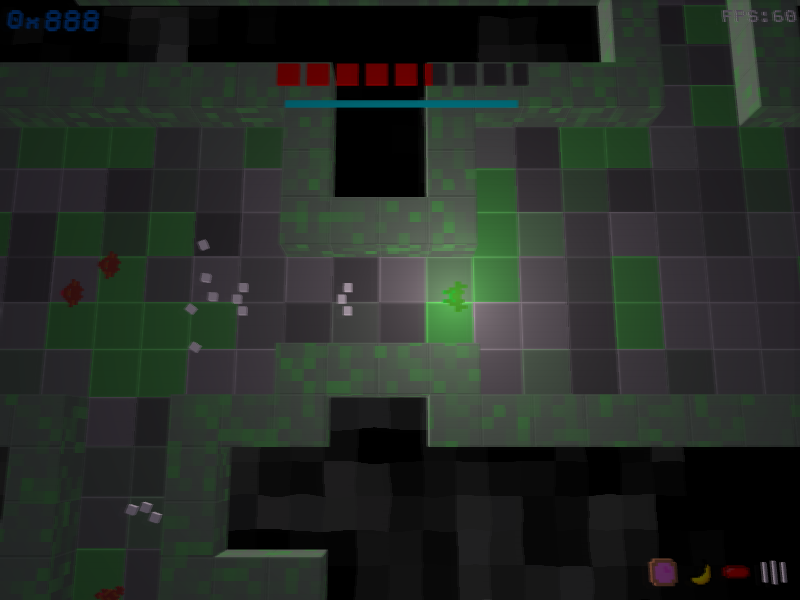 We also added some new powerups and weapons, polished the menus a bit and fixed some bugs. The screenshot below shows some of these changes in action: Version 0.4 beta also marks the beginning of our closed beta program. If you want to be part of the program, just let us know. That’s all for now but there is more to come soonish, so stay tuned! This entry was posted in Releases, Screenshot by Luca. Bookmark the permalink.